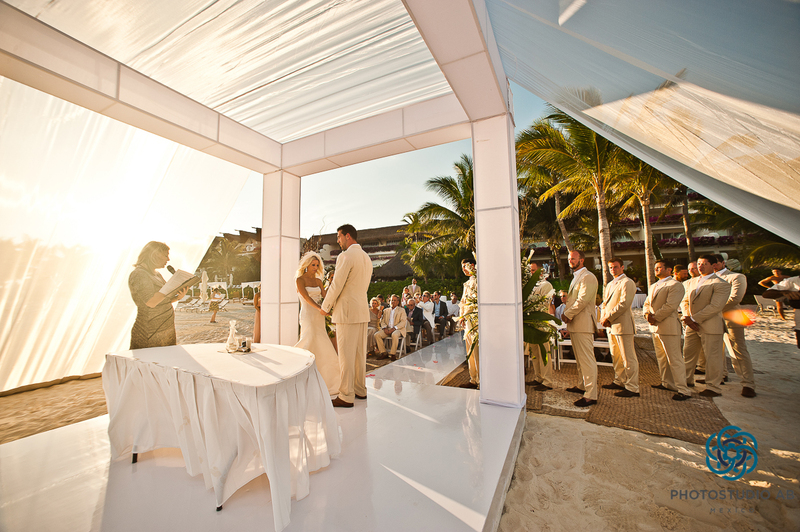 Beautiful wedding ceremony at sunset on Grand Velas Riviera Maya resort. Great Atmosphere!! !